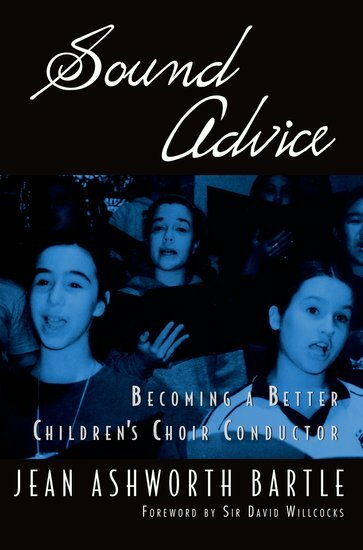 Sound Advice is a valuable resource for college students, beginning teachers, and experienced conducters of children's choirs. It covers the vast array of skills needed by today's conductor and will benefit all choir directors who want their choirs to reach a higher level of artistry. This book will be useful on many levels: for the college student studying the child voice and elementary teaching methods; for the teacher beginning to direct choirs in schools, synagogues, churches and communities; for experienced children's choir directors who wish to know more about orchestral repertoire for treble voices, conducting an orchestra, and preparing a children's choir to sing a major work with a professional orchestra. The underlying educational philosophy is sound; the author sees development of musicianship through singing as the primary goal of a children's choir program. This philosophy differs dramatically from the traditional concept of the conductor as all-knowing and the singers as receptacles. An outstanding aspect of the book is how the author leads the reader to an understanding of how to teach musicianship. Developing literacy in the choral setting is a mysterious, amorphous process to many conductors, but the author clearly outlines this important process with practical suggestions, well-documented examples, and a clear reading style which will reach readers on many levels. The comprehensive repertoire, skill-building sheets, and programs for all types of children's choirs will provide teachers with immediate and highly valuable resources.